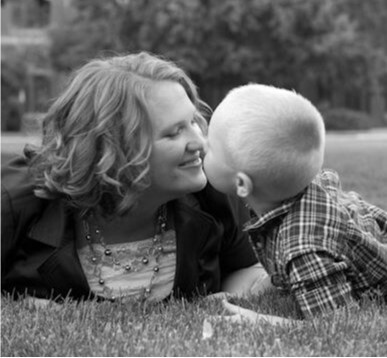 Melanie Nelson is a mother of 2 adventurous little boys who loves to play with her family. She has a passion for educating, serving and supporting the families she works with. She loves healthy, inexpensive ideas and simple know how that save her both time and energy. Over the past 4 years, Melanie has learned many important lessons as she began her work with Mary Ann’s Cupboards. You can always make something out of nothing. Even the best foods, clothes and household goods can be made from things you already have. It just takes a little forethought and some creativity. You can make things from scratch and actually save time doing it! Making things from scratch improves the nutrient content of the foods we eat. A few basic routines and some simple recipes can help you make healthy meals and foods in just minutes! Cooking with your family, is way more fun than cooking for your family. They say that the kitchen is the heart of the home. Building bonds around food provides an avenue to build mature pallets and healthy relationship with food. Necessity always provides an attitude of learning. We all have things we’d like to learn, but we will never make the time until we don’t have a choice. Thank goodness for Necessity! Melanie is one of our Certified Instructors as well as co-founder of Mary Ann’s Cupboards. She lives in and serves the Canyon County, Idaho area. Her favorite classes to teach are Eat Better for Less, Teaching Children to Work, and It’s About Time.